Let’s kick off 2018 with impressive new marketing features! 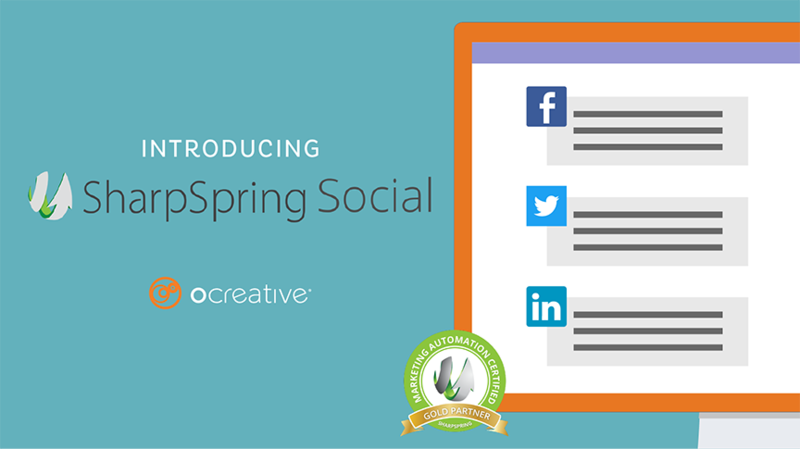 SharpSpring Social and the new Content Calendar are now available in your SharpSpring account. SharpSpring Social includes powerful conversion tools you can only get with fully-integrated marketing automation. It’s designed to help you turn lead interactions into meaningful conversations that generate sales. Ready to launch some campaigns? Check out the feature highlights below and start exploring the new features today. 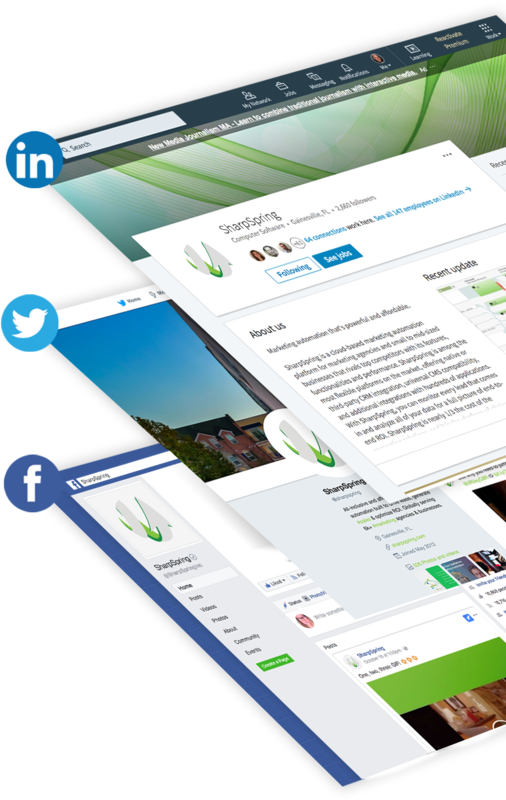 Create, schedule and publish content to Facebook, LinkedIn, and Twitter directly from SharpSpring. Monitor social conversations that matter most to your brand. Stay updated on hashtags, keywords, competitor profiles and more. Create triggers based on social activity. Send follow-up emails with related content, or notify the sales team when leads engage. 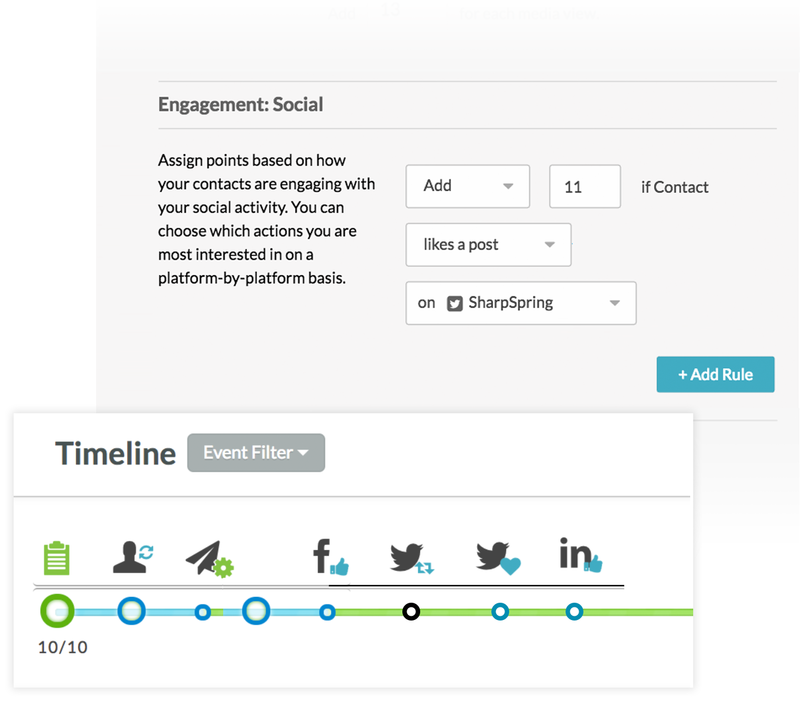 Adjust lead scores based on likes, retweets or other activity, and capture these interactions on the Life of the Lead. Create trackable links to leverage Media Center assets right in SharpSpring Social. 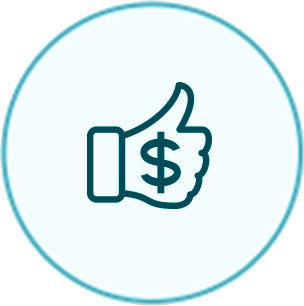 See end-to-end ROI of your social marketing strategies. 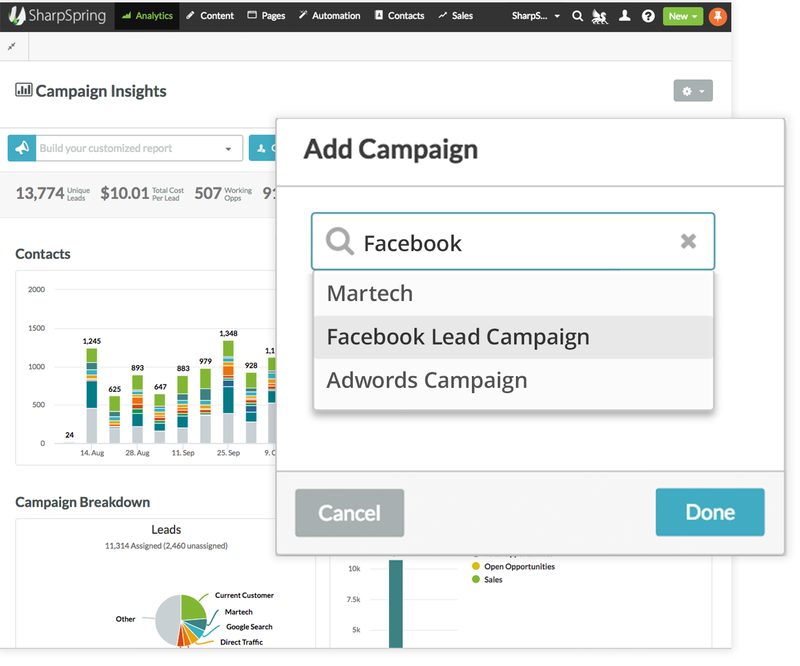 Evaluate effectiveness by assigning campaigns to individual social posts. Get a holistic view of all of your scheduled emails, blog posts and social content with the new Content Calendar. 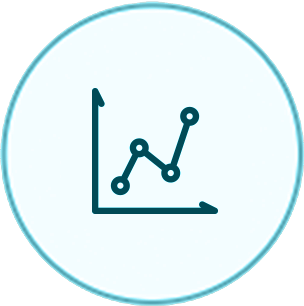 Compile key metrics from social networks, track trends, and measure growth. 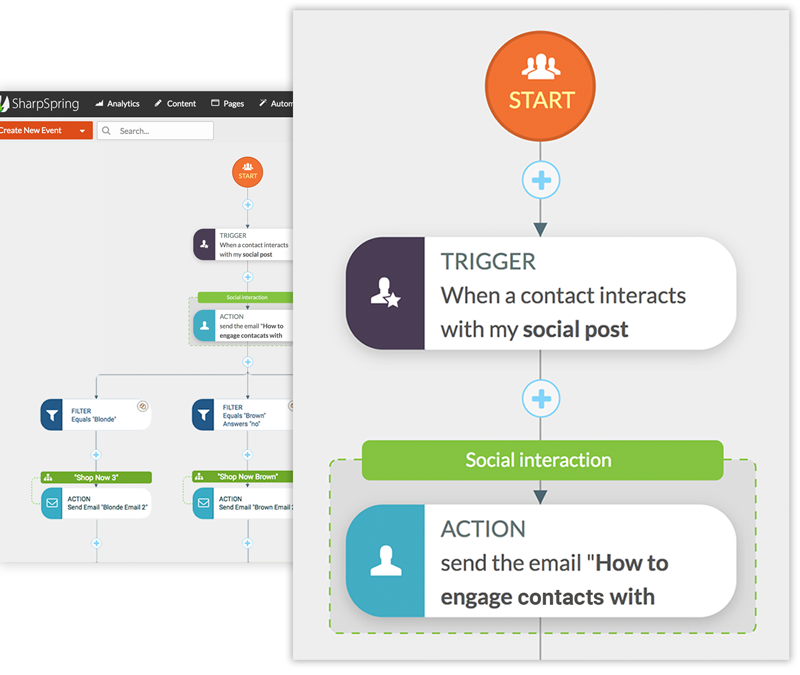 Manage users’ permissions and approval workflows for social content. Collect and share top third-party content with your target audience. Launch paid remarketing and prospecting campaigns on social networks. 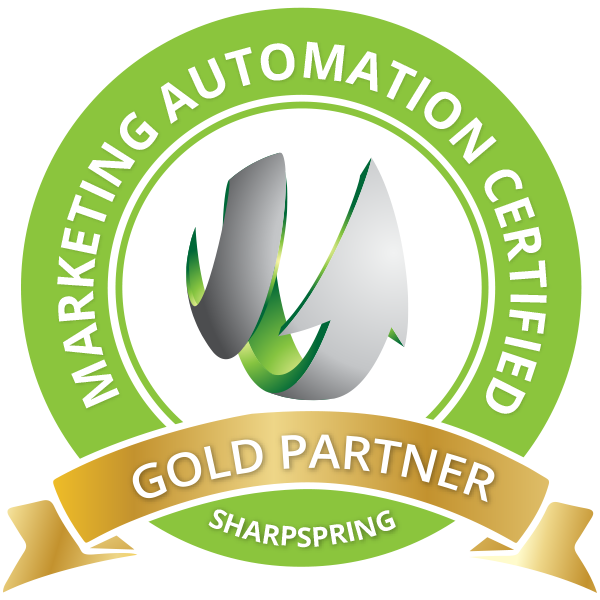 Ocreative has earned Gold Certification as a SharpSpring partner. We are excited about our ability to offer proven marketing automation solutions along with our strategy, web design, development and other digital marketing services alongside Sharpspring, one of the fastest growing marketing automation software companies in the industry. With Ocreative and SharpSpring together, we’ll help you transform the way you market and sell. 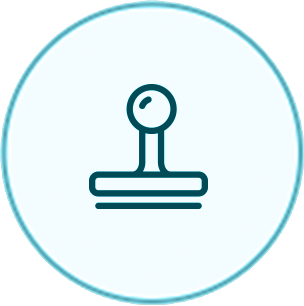 Marketing automation is built for businesses who want to grow by providing exceptional inbound marketing and sales and more personal customer relationships. As always, we’re happy to assist with your next campaign. Bright, honest, digital innovators and creatives, Ocreative was established in 2003 as one of the early pioneers of digital marketing in the Midwest. 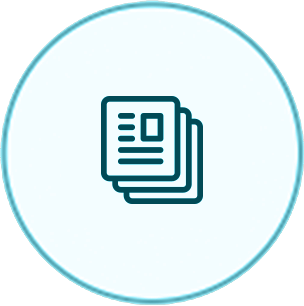 The team’s expertise and broad experience span both print and digital medias fulfilling their trusting clients desire for business growth and their desire to leave a substantial footprint on their industry. Ocreative’s focus is on customer service, quality worthy of awards, and performance that surpasses client expectations. Ocreative’s portfolio includes expert marketing and strategy, advertising and design, websites and digital marketing, video, and multimedia.